Whether you’re looking for an elegant basket of white flowers, or an exotic flower basket that will last for a longer period – you can rest assured that we will make sure that your gift tribute is just right. Losing a loved one can be a very difficult experience and offering condolences at this time is just never an easy task. Here at Flower Station we have learned, over the years, how best to manage such expectations and deliver best funeral baskets of flowers that are just right for the occasion. We have very long established connections with many funeral directors and many locals in various London boroughs come to our florist and order funeral flowers whenever there is a need to. We are also lucky to be recommended by many customers and our overall net reach, as such has become quite incredible. 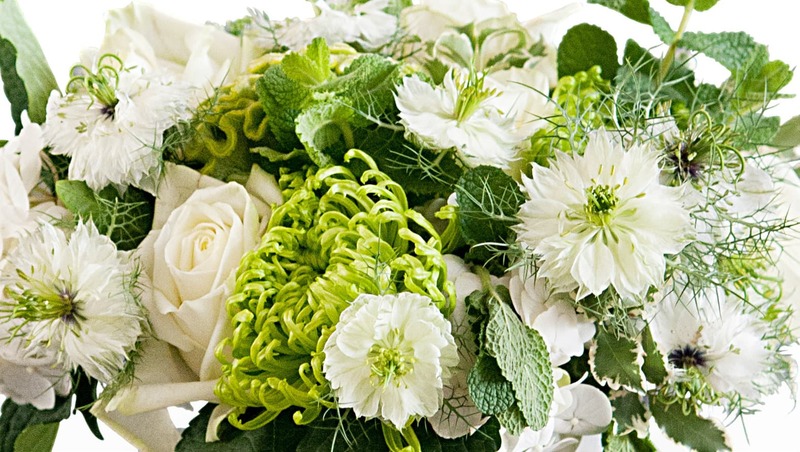 We think that offering tokens of sympathy is best done through flowers and there just is no match for it. Funeral flowers in baskets in particular are a great way for these to be given out, whether they’re going to a house, a funeral home, or a cemetery. The funeral flower baskets can be easily laid on the ground, a table or anywhere else and will be very sturdy flower arrangements that will not fall over in the wind easily, nor will they be liable to break as no glass is ever used and the flowers are always in luxury oasis. Because the funeral flowers in a basket are in oasis; it is also easier for them to stay fresher for longer. The oasis is usually full of water and retains water for longer, making sure that the flowers in funeral flower baskets are always fed water throughout the next few days. Funeral flower baskets are not just a safe and a reliable option – they are also an alternative option to sheafs and sprays. Moreover funeral flower baskets can be delivered just about anywhere, as mentioned before, are right for just about any friend or a family member hit by a tragedy and one can design and prepare flowers in them in pretty much any way, shape or form, not to speak of the fact that one can also use a huge variety of flowers in these. Flower Station make shopping for funeral flower baskets quite easy with our ever reliant flower delivery service in London. Due to the fact that we have a very experienced fleet of drivers we can just about cover any area of London and outskirts of it quite comfortably. Whether your order is large or small it is worth remembering that Flower Station, due to its size, commitment to its customers and speciality in designing funeral flowers amongst other things, can often be not only the choice but the only choice when wanting to make sure that your funeral flowers arrive in as good a state as you want them to. We believe that when you want to create a lasting impression in sending funeral arrangements such as funeral flower basket you should never go further from Flower Station.